When I first bought my Vortex Core, I was very impressed by the build quality of the product. Yes, it had some glitches with the molding of some keys (e.g. the right spacebar) but overall it felt sturdy and of good quality. 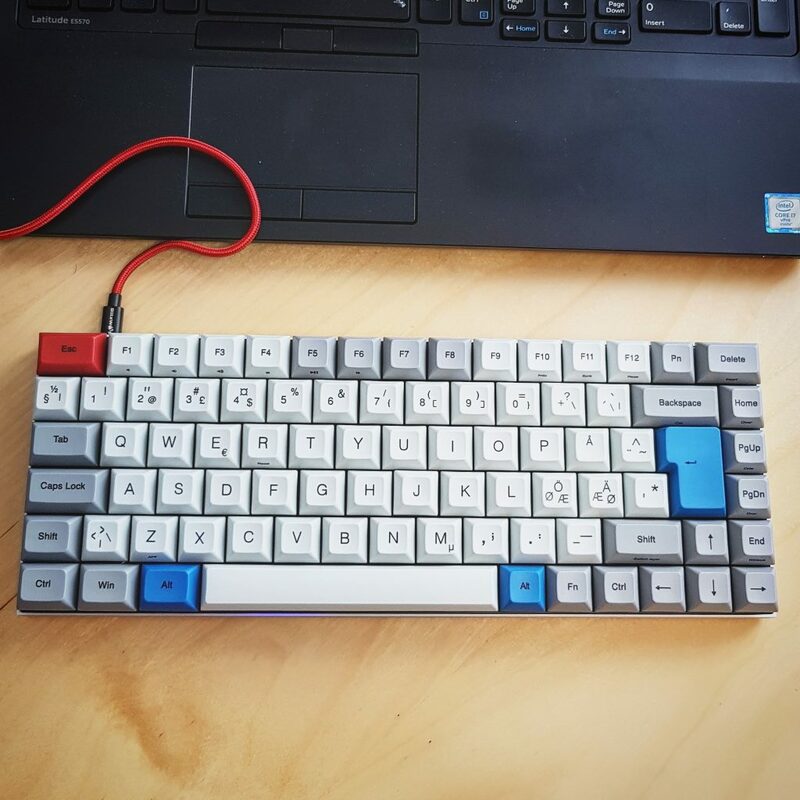 So when I saw that the Vortex Race 3 was coming out in an ISO version and that it even came with a nordic keymap and Cherry MX Clears, then I just had to get it. So, lo and behold, the Race3 aka “New 75%” has finally arrived after having been in pre-order status for quite some time in candykeys.com store. The quality is the same great quality I know from the Core, but the keys feel even better (and so does the switches as my core only has the MX Browns). Downsides with this keyboard are the fact that it comes with a non-standard layout – e.g. the larger ESC key and strange sized Delete key. I do however not expect to change the keycaps on this one so it is not really a deal-breaker for me.